I guess I don't really blame them, since I have been there before, and occupied that mindset myself at a time in my life prior to becoming a parent. I had to work from home the other day since Lukas wasn't feeling well. While there I called a colleague in another office, a man with no children of his own, to try to work out an issue. Lukas chose that moment to throw a mild fit. I'm not sure about what, he just wasn't feeling well that afternoon. At a subsequent meeting with another person in this same office it came up that this guy had a good laugh about this, and that he felt SORRY for me. A different scenario played itself out at our home last week when a notary came by at 8:00 PM to have us sign papers for a refinance we were completing. Normally, our son would be in bed at this time, but we needed to get the signing done and this was our only time. Lukas was happy, but noticeably 'wired' and running roughshod through the house while we signed paper after paper. Attempts were made to calm him, but having extra playtime at 8:00 was not an opportunity he was going to squander! Though she was nice enough, I could see it in her eyes. This motherless woman was feeling for us, and couldn't wait to wrap things up and get out of there. Even dating back to when our little guy first began to walk there have instances where we could feel pity oozing from childless acquaintances as they watched us 'deal' with our enthusiastic progeny. There was one instance in particular where a couple we hung out with a lot invited us to lunch in a fancy restaurant. We brought Lukas, who couldn't sit still for more than a few minutes. When we didn't let him down to walk, he protested. Some food might have been thrown. This couple looked stunned as they watched this unfold. We just sighed and chuckled. We haven't been out with these friends since. Yes, parenting a small child can be difficult at times. It can be frustrating. It can be loud. It will be messy. Very messy at times, but you know what? These people can respectfully save their pity for someone else. There are a whole lot of people out there who really do need it. The instances I described? They were mere moments in the whole process of parenting. Bumps in the road. Not at all representative of the parenting experience we, or I suspect many of you, have come to know. My point is this. When 'I' consider all my individual moments as a father as one experience I am simply thrilled with how it has turned out. It is so much better than I had ever anticipated. My son is an amazing little man. Not a day goes by where I am not extremely proud to be his Daddy. This is not a perspective, I suspect which many non-parents can understand and grasp. But I hope that someday they will get to. It will truely eye opening. Until then, I pity them for not knowing this kind of Love. This is not a love post. It is a post about love. Mrs. LIAYF and I loaded Lukas into the car yesterday for a short trip to the grocery store. No, not the fancy store, though it was nice. Anyway, as we were pulling out of our driveway Lukas noticed bright lights on in a neighbors window. "No, buddy those lights are red. Those must be Valentines lights." I explained. "Valentines Day is a day where we show people how much we love them." Mrs. LIAYF added. "Lukas, who do you love?" "I love MOMMY!" he excitedly cried. "That's good. Who else do you love?" "I love Grandma and Grandpa too" he responded convincingly. "Do you love ANYONE elllllsssseee?" his mother asked, giving me a long, intentional glance. "Uh....I love....(looking around now).....I love those those houses out there." Well, I'm convinced that had we continued this line of questioning unprompted I would have made the list. Perhaps, somewhere between the guy we passed walking his dog and say, chopped liver. Or, maybe it just goes without saying. Man, I was spitting fire last night! Why? Because I have become convinced that the engineers who design products for home use (particularly products which a guy might attempt to fix himself such as a leaky faucet) must have a particularly EVIL sense of humor. I mean, why else would these designers make the decisions they do about how to assemble these products? Specifically, decisions such as which style of screw to use. Yes, I am convinced this is a specific and utterly nefarious plan to inflict the greatest degree of expletive inducing frustration on unsuspecting homeowners. Clearly this is the most logical explanation. It's also my conclusion that the particular design engineers employed by a faucet peddler beginning with the name Price must be the life of the party during cocktail hour at the annual 'Association of Engineers Determined to Drive Unsuspecting Homeowners into Padded Cells' conference. In fact, I would be extremely surprised if these evil geniuses ever actually bought themselves a drink at such a conference. How else to explain the farcical episode that I had to play out last night while attempting to replace a faulty gasket on a brand new kitchen faucet? A 5 minute project, tops. Just pop the cap, unscrew the top of the faucet, pop in new gasket, put it back together. Easy peasy. But nooooo....the Price folks decided it was appropriate to require a 3/16" hexagonal wrench to unscrew the pivot handle. 3/16"! Unfortunately, this was NOT the size of the 500 or so IKEA hex wrenches living in various nooks and crannies around my house. NOT the size of every other hex wrench I found in the first 45 minutes of searching, including every size on the bike repair tool I climbed over heaps of clutter in my garage to acquire. Heck, I nearly blew my own gasket. This was obviously either a 1) stupid or 2) evil design decision. I'm guessing evil. Otherwise, I could just have replaced all the parts with my one screwdriver and been off to enjoy my pleasant evening without hassle. So let me say this in conclusion. 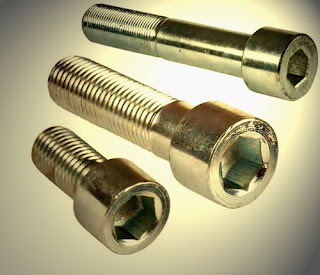 If there are any politicians reading out there and are looking for a fresh angle to appeal to the average voter, a surefire way to seal the support of the middle class homeowner, consider running on a Standardize Screw Head platform. One in which those design engineers who don't conform will be dealt with in the harshest of ways. Such as having to work on home repair projects late into night. Today was a bit of a rainy morning here in Seattle. Exactly the kind that of morning that might encourage a local family, with say a small toddler who loves books, to forgo a trip to the park in favor of a visit to their local library. For arguments sake, let's say this family did just that. And that, being so engaged, said family's paternal figure also took the opportunity to once and for all settle a ridiculously steep library fine for a few crappy sounding movies, 2 weeks overdue when returned, and none of which had actually been viewed by any member of the family. Also, assume that, to ease the pain of grinding his teeth so hard while writing the aforementioned check, our protagonist, the father, may have decided to use the new found clearance on his library card to check out some musical discs he has recently been eager to 'sample', thus restoring a small sense of balance to his otherwise hectic existence. Funny thing. We were at our local library this very morning too. We may have even run into this family for all I know since we also live in Seattle. It's a small world. And no Dorthy, we were NOT in our shabby club-card market anymore. I must say, this place might just qualify as a marvel of the known world. The smells, the colors, the displays. It was as if we had entered the Garden of Eden itself. The produce aisle was impeccable, with nary an apple out of place, all reflecting brilliant light off of their shiny skins. There was a rich smelling coffee shop, a flower bar, and a high end kitchen store. There was even a cheese and olive island, with workers in white overcoats smiling widely at us, offering samples as we passed. Yes, we sampled, but I consciously tried to avoid looking at the prices for fear of burning my retinas. That's not all either. There was also a bakery, with gorgeous cakes and desserts lined up in a display which would have put any local specialty shop to shame. Not one sat there in a pink cardboard box, next to a loaf of dry bread as we have so become accustomed to. Lukas even starred at these cakes in seeming disbelief for a few moments, before his right arm rose and he gingerly stepped, fingers outstretched, towards a beautiful example which could have easily graced the cover of 'Martha Stewart Living'. As you may have surmised, his hand was yanked away in near record time. And at that we moved along. Finally, after taking in the ambiance for a few more minutes, we made our way to the place we had intended to reach. The Deli. The glass display covered endless salads, casseroles, and sandwiches of seemingly every variety. There was even a Prime Rib and rotisserie station which looked especially delicious. Instead though, we opted for the soup counter where a variety of savory sounding soups were there to choose from. Mrs. LIAYF and Lukas chose a rich tomato soup with moist cornbread on the side, while I opted for a very satisfying bowl of Mushroom Oyster with a tasty olive roll. Then, having made our selections we sat ourselves down at the counter and enjoyed our meal as we chatted about our morning and watched all the interesting people go by. Yes, it was a fun and visually pleasing experience, but with a Seattle mortgage and a toddler, realistically this is not a venue we will frequent often. Instead, it was like a Saturday morning vacation. Sadly, we didn't even get pictures. I realize that I don't have to tell many of you readers this, but for the rest of you I have to say that this fatherhood gig can be an all encompassing endeavor. Before you know it, your whole world is about your child, which leaves very little YOU time. With that in mind, here are the Top 10 Signs that SeattleDad is in serious need of some 'Daddy' time. 10. When I see a Firetruck pass by on the street these days, I often exclaim "Wow, a Firetruck!" and make a "Woooooo woo, Whoooo whoo!" sound. 9. I have still not heard a song from newly formed Super group Them Crooked Vultures, yet I have met, attended a concert of, and also follow @casparbabypants on Twitter. 8. The other day as I was walking down a hall, my hand accidentally smacked into the wall. I automatically kissed it to make it feel better. 7. Apparently, I have no qualms eating off his plate, leftover food my toddler has pawed and rejected. 6. Over the past two and a half years, the word most uttered from my mouth: "Buddy". Followed closely of course by "I", "Love", and "You". 5. I have been known at times, to inexplicably start talking to colleagues, in Suessical rhymes. 4. The extent of my workout routine now consists of dragging a 30 pound dead-weight toward the stairs every night at around 7:30 PM. 3. I am often secretly relieved when my son wakes up in the middle of the night, because it gives me an opportunity to go empty my bladder. 2. The other day, after an unknown number of minutes, I realized that I had been sitting in front of the televison completely mesmerized by an episode of 'Max and Ruby' which we had rented for Lukas. "Just a minute. I have to go potty first." Happy Sunday readers! I just wanted to check in today to let you all know I just celebrated my 2nd Blogaversary! 2 years ago yesterday, on a whim, I decided I could write a blog about my experience as a father. I was desperately searching for a creative outlet since I was, and remain, utterly talentless in any other arena. I chose the first free platform I found and within a couple of hours, I had written my first post. I had no idea at the time that this would turn out to be such a immensely rewarding exercise. It was just what I needed emotionally at the time, and continues to be an excellent vehicle for me to express to the world the endless volumes of love and affection that I feel for my wife and son. I would like to express a sincere and huge THANK YOU to all of you out there who have taken a few moments of your valuable time over the past two years to stop by LIAYF and read my posts, leave a comment, or recommend my blog to a friend. It means more to me than you can realize. And on that note, I would like to also continue a tradition I started last year. This past Thursday was Delurker Day 2010. The idea, as many of you probably know is to encourage those who read your blog, but never leave a comment (Mom, Dad: This would include you) to take the time to let their presence be known. 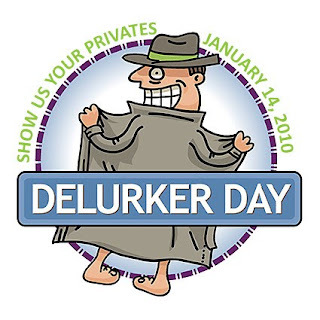 I missed posting on the actual day as well last year, so I proclaimed it: Procrastinators Delurker Day. And like a true procrastinator, I am even later making this request this year. 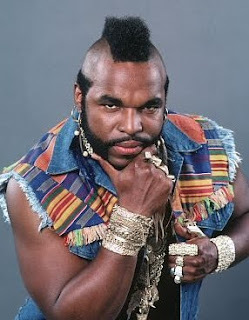 However, since it IS my blogaversary, I am counting on you to leave a comment. I am hoping to top last years Delurker comments, especially since my count was a big fat ZERO. That's right, I only received comments last year from folks who had previously left a comment. A little embarrassing indeed. However, if you still can't bring yourself to leave a comment, but you still want to express your undying love for the amazing content that I laboriously bring to you each and ever week (often several times a week), I'm sure I read somewhere that electronics, fancy cameras, i-phones, and robot maids in particular, are the typical 2nd blogaversary gift item. So, just shoot me an email, and I'll let you know where to send the gift of your choice. I may have mentioned this before, but it bears repeating. I love books. I love the way they feel, I love the way they smell, and I love the way they look. As mentioned in my last post, my most recent purchase is a graphic novel version of the Ray Bradbury classic Farenheit 451. But I think the thing I love most about books is the potential and the promise that each one holds. To me, the most exciting part of reading a book is finishing it. That way, I get to chose which of the large drawer full I will read next. To choose which unknown destination I will be transported to with the next story. The mere thought of Firemen, designated to find and burn books, were it real would fill me with despair. Happily, I see much of this same excitement and anticipation for books spring forth in Lukas each evening as I arrive home from work. This 2 1/2 year old boy is crazy about the little sheets of wood. He can't get enough of them. It seems that he would much rather give me a huge smile and a tight embrace, then run to the bookshelf to scan through his ever expanding library for the perfect selection. Tonight, as is the case most nights recently, one book led to another...and another...and another. It is also rewarding to think that the stories we have recently shared have been just that, stories. Lukas has effectively moved beyond picture books, opting rather for books heavy on words and content, such as Frog and Toad, and the longer Dr. Seuss books. I even had to read him 'Worax' (The Lorax) twice in a row Sunday, then Horton Hears a Who twice as well, and finally Yertle the Turtle, all this in one sitting. I am fairly certain that this fascination with books that our son has, has much to do with the absence of television in our home. His mind is certainly a sponge right now, and the vacuum that might normally be filled by stories on a screen are instead being filled between the pages. I think this is a good thing. At least I hope it is. I didn't read many books myself, for pleasure, until my late 20's and I often feel like I missed out on quite a bit more than just the stories because of this. I often feel I would have had a much better grasp on my young adulthood had I been more well read at the time. Given all that, I am happy that Lukas loves his books. The thought of him learning to read at a young age is one that would fill me not only with pride, but with hope. Hope that he can translate such a skill into better interpreting the diverse and confusing world around him. And to think, it's all right there in the pages of Dr. Seuss. But, then again, maybe I am just another proud father reading too much into it. I must admit it. I've been a bit addicted to Twitter recently. And, no, it has not gone unnoticed to certain members of my immediate family that I am a bit, well...distracted these days checking my TweetDeck application every few moments that I'm home. Before you read into that last statement 'inattentive husband and father' I'll let you know that I do spend generous time with my wife and son while at home, reading books, conversing, doing housework, playing games with Lukas. You get the picture. I just happen to read my son a story..then check Twitter, make dinner..then check Twitter, give Mrs. LIAYF a foot rub..then check Twitter. I know that there is an anti-Twitter element out there, and also those who just don't understand what all the fuss is about. I hear "Who wants to know when someone just went to the bathroom?" as common statement as to the triviality of the micro-blogging application. However, I don't think those people actually 'Get' the concept of Twitter. Well, I want to let those people know that there is so much more to this phenomena than they may realize. It is not all about mundane nonsense. 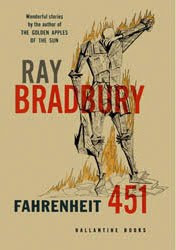 Picked up graphic novel version of Bradbury classic 'Fahrenheit 451' this afternoon. Passed on European knockoff 'Celsius 232.7777'. Yesterday: First day I walked out of the office and it was still light out. Everyone in Seattle can take a step back from the ledge. On way to lunch passed 2 guys w/clipbrds on sidewalk "You look like an animal lover" one said. "Sure am. I'm going to eat some right now." Morning. If you could bottle this weather, well...you would have a bottle full of pure Seattle rain water. So, apparently the weather for the last day of year will epitomize my life as a new father: Occasional chance of shower. I told the Great and Powerful Oz that I wanted 'Energy to get through the work day'. "Easy" he said, and tossed me a Starbucks card. The Mermaid just spoke to me. Good Morning. It's time for the most important meal of the day. Just as soon as it finishes brewing. Just taught him the first and most important step in making waffles. 1. Make coffee for daddy. 2yo "I don't want any broccoli daddy, it makes me sad" Note to self: Find happier veggies. 2yo digging in sandbox at playground "I REACHED CHINA, DADDY!" Me: Put on your pants, you'll get cold flying. 2yo: Birds don't need pants, daddy. So, there you have it readers. Proof from @SeattleDad that Twitter is not all about trivial nonsense that amounts to nothing more than a waste of ones precious family time. Once in a while someone even responds to one of these important observations. It only feeds the addiction. What? It's a speck of dust in my eye! Sniff, sniff....tissue? No, It's because of Lukas. He's 2 1/2 now and long before any of us realize it he will have formed his first lasting memory. A memory that he will carry with him into this teenage years and through college. One he will have when he proposes to the love of his life. One that he will share with his own child some day. One that he may remember as a kindly old man gazing upon a group of happily playing toddlers at some point in the very distant future. My first memory, more of a flash really, dates back to when I was 2 years old. I remember walking into our living room and seeing a black and white cartoon on the television set. It had Cowboys and Indians. Mrs. LIAYF can remember stepping on a bee hive before she turned two and many things from her second year. Not exactly a happy event, but definitely memorable. That being said, it is not at all unreasonable to think that Lukas may well remember things that are taking place now or have already happened. And I keep asking myself "I wonder what will that memory be?" Will it be his visit to the bouncy place this past weekend? He was almost hyperventilating with excitement. Will it be Riding on the Big green Tractor at Grandpa's Farm? Will it be getting to sit in the Big Red Fire Truck outside the grocery store? Will it be Trick or Treating for the first time, or getting his red toothbrush from Santa in his Christmas stocking? Or, perhaps....just maybe....his first memory will be of snuggling himself into Mrs. LIAYF's or even my lap and having us wrap our arms around him in a tight embrace, telling him what a wonderful boy he is, before reading him the story of his choice. It's Two Thousand Ten people. 2-0-1-0. Amazing that we made it really, once you consider how many doomsday prophecies we have survived. Tell me, Is it sad that I am more disappointed about there being no robotic cleaning maids, than about there being no personal jet packs? Big congratulations to Mrs. LIAYF who had not only survived, but thrived on the first day of her life changing venture. She is Amazing! It seems that Lukas may have the most difficult transition of all involved, but that is to be expected given the situation. I fully expect that he will settle in nicely to his new routine in no time. I am finally starting to feel better after spending the past two months fighting one type of bug or another. I was cultured again yesterday to see if the Strep I have been battling has finally been eliminated from my system. I should get the results sometime Wednesday. Wish me luck. Here is the list of my 6 'favorite' movies from 2009. Why only 6? Because, sadly we only watched 6 movies from 2009 (that I can remember anyway). 1. Star Trek - Fantastic! 2. 500 Days of Summer - Terrific. 3. District 9 - Solid. 4. Where the Wild Things Are - Ok.
5. I love you man - Meh. I am craving chocolate recently. No, seriously craving chocolate. I am currently trying to avoid the candy ailse at our local grocery store for fear that I might shove an expectant mother out of the way to get to the Peanut M&M's. I feel like my musical tastes are fairly evolved, but I have to tell you that I don't get the whole Radiohead love affair that many music fans share. In a recent Top Albums of the Decade list compiled by listeners at KEXP.ORG Radiohead occupied spots #2 and #4. Yes, they are alright but...seriously? Maybe I am missing something. You know how you sometimes are walking next to a stranger at nearly the same pace and you have to cross them to get to your destination? In like 10 or fewer paces? And you have to decide whether to drastically speed up your stride, or make a nearly complete stop and let them surge ahead of you? Luke, I am Your Father was recently included in the Top Dad Blogs list compiled by Keith over at Almightydad.com! LIAYF came in at spot #80 when compared to the hundreds of other Dad blogs worldwide. I am both humbled and honored to have LIAYF included on this list along with so many other top notch parenting blogs. If you get a chance, I highly recommend that you check out the list and read about what other dads around the world are talking about. Happy 2010 everyone! And, if you have a prototype robotic maid you need to Beta test, please send it my way. 1. My toddler days were the late 60's and very early 70's. 2. We only had 3 channels back then and didn't get a public television station. 3. We currently don't have television and therefore don't watch Sesame Street. That being said I was a bit thrown for a loop New Years morning when Lukas brought me an Elmo book and asked me to read it to him. "Oh, Big Bird" he said as he looked at the page below. "Yes, and there is Cookie Monster" I replied as I pointed to the blue thing eating a cookie. I felt informed. "Who is that?" he then asked as he pointed to the character jumping rope. "Uh, I'm not sure buddy. I think it is Elmo's girlfriend." It seemed like a logical guess to me. "Who are those guys?' was his next question, as we flipped the page. "Well, that's Bert and Ernie" happy to get an easy one. "But, I'm not sure which one is which". "There's Elmo!" he happily said as we turned the page. "And Grover!" "Who is that guy?" he then asked, pointing to the vampire character. "Uh, I think it's Count Chocula" was my best guess. "And that guy?" as we moved on to the next image. "Err...I think that must be the Dump Monster"
"And who is THAT?" he cried, as we turned to the final page. "Honestly buddy....I have NO idea who that is." "Looks a bit like a mash-up between Grover and the Cookie Monster"